Until relatively recently, you knew what you were getting from the Great British country-house hotel: white linens and waist-coated staff, chintz and pelmets, tweed and brandy. Barring the view from the windows, the template was generally the same, whether you were in Hampshire or Herefordshire. Now, things have changed. In the last few years the world of the country-house hotel has been transformed by the arrival of bold and imaginative properties that have set new standards in design and experience. Places like Lime Wood (Hampshire), Dormy House (Cotswolds), Barnsley House (Cotswolds) and The Pig (throughout the South) have redefined rural luxury, injecting a distinct contemporary sensibility into a sector more closely associated with tradition. But this is an evolution, not a revolution; a sensitive rethink, rather than a radical overhaul. Successfully updating the country-house model takes more than chucking out the chintz and ditching the traditional for the sake of it. The best country hotels get the balance right between looking to the future and cherishing the past. The cookie-cutter approach doesn’t work anymore. Location has always been important, of course, but today’s travellers want to feel that the hotel they are staying in had a palpable sense of place – that it has grown naturally from its setting, not just been dumped there. 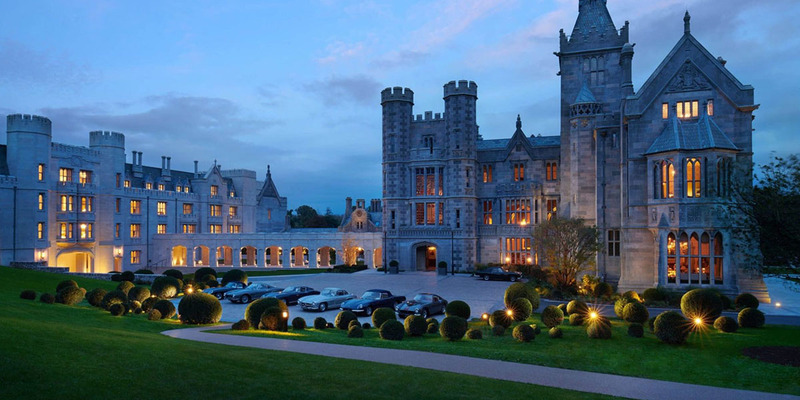 A truly great country-house hotel belongs where it is; it couldn’t exist in the same way anywhere else. It’s a tough tightrope to walk, involving thousands of decisions that are all too easy to get wrong – a bad call on the design, a misjudgement on the menu, or a poor choice on the playlist can all burst a guest’s bubble. With so many elements to consider, it’s no wonder it has taken Heckfield Place six years to get around to opening. Gerald Chan, the owner of the grand Georgian family home and 400-acre estate in Hampshire recognised that, if he were to launch a new, modern-minded property into the this freshly evolved and increasingly competitive country-house landscape, every sensory detail had to be perfectly judged – furnishings, art, books, food, music and more. Chan spent significant time recruiting the right creative team: ex-Aman manager Olivia Richli as launch GM; Petersham Nurseries chef Skye Gyngell to take charge of Marle and Hearth Restaurants and the extensive kitchen garden; Ilse Crawford protegé Ben Thompson on design duty – and Music Concierge to set the scene with sound. Of all the sensory touch points that shape the guest experience, sound is perhaps the easiest to overlook, but it’s arguably the linchpin that ties the other senses together and breathes life into the atmosphere. Sound is also the easiest element to overdo – when you’re creating a soundscape it can be tempting to cram in attention-grabbing tracks that you love to hear in isolation, but which sound brash and indulgent when they become part of a soundtrack on-site. 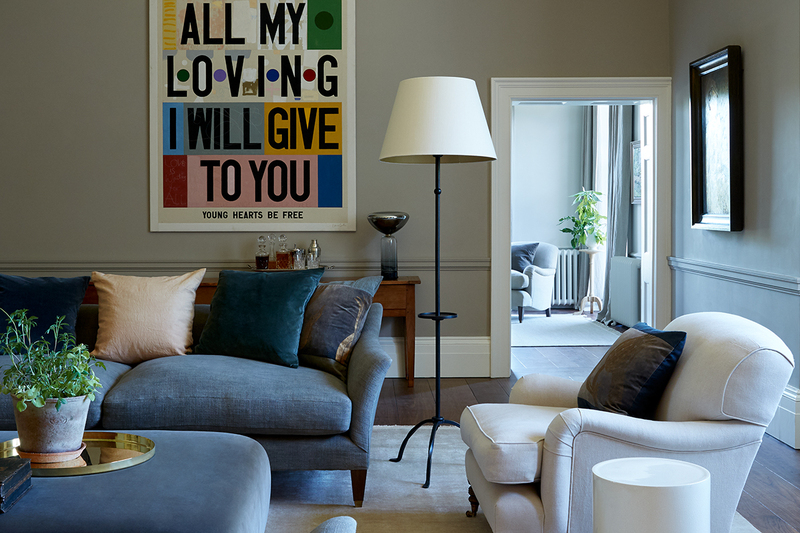 At Heckfield Place, designer Ben Thompson deployed a a calming palette of muted greys, greens and blues to provide a rustic feel that complemented the Georgian building and sat well with the bucolic setting. A restrained, effortlessly elegant look that didn’t attempt to outshine its surroundings. We followed suit with the soundtrack, developing a delicate and distinctive blend of contemporary classical and delicate folk-oriented vocal tracks that support the Heckfield mood: elegant, relaxed and pastoral – underlining, not overpowering, the natural beauty of the landscape. To enrich the atmosphere of the Moon Bar, the hotel’s intimate nightspot, we injected a dose of rock ’n’ roll into the air to keep the evening energy up. In the screening room bar attached to Heckfield Place’s full-size, Dolby surround-sound cinema, we made sure that the playlist made thoughtful references to cult film soundtracks where the eagle-eared might hear the work of Nino Rota, Bernard Hermann, or Lalo Schifrin. The Little Bothy Spa, set to open fully in 2019, has a soothing classical sound interspersed with spoken-word English literature to relax both body and mind. Despite the subtle shifts in sound, in every area of the hotel, our aim was the same – to elevate the mood and cultivate the beauty of the moment. Often the most successful elements of a hotel are its smallest touches, not its boldest statements. At Heckfield, there is a thoughtfulness behind every detail, from the corn-dolly do-not-disturb signs to the cocktails mixed from estate-grown ingredients. One of the most distinctive touches is the vinyl library. You can tell a lot about a person from their record collection, after all. As well as creating Heckfield’s audio identity, GM Olivia Richli asked Music Concierge to put together a collection of albums that would reflect the hotel’s personality and surprise and impress its guests. Hopping between genres and across eras, the Heckfield collection is a something-for-everyone selection of iconic British masters, rock legends, soul giants and classical greats. A harmonious marriage of contemporary and traditional executed with care and near-obsessive consideration – just like Heckfield Place itself. After two years of fierce hotel-on-hotel competition, in which hundreds of the world’s most remarkable properties have gone head-to-head, the first cycle of Sleeper magazine’s AHEAD awards is set to culminate on 28 January – with simultaneous ceremonies in London (Ham Yard Hotel) and New York (Crosby Street) and a livestream on the AHEAD website. Throughout 2017 and 2018, eight awards events took place across Asia, Americas, MEA and Europe, crowning the best hotels by category in each region. Now, the cycle is ending with AHEAD’s first ever global showdown, when the regional champions are pitted against each other to determine what are, quite simply, the best designed hotels in the world. As with previous AHEAD events, Music Concierge were asked to curate the soundtrack for the grand finale, but what we’re most excited about is seeing so many hotels we’ve worked with on the shortlist for an international title – including our clients Gleneagles and Nobu Shoreditch, who both took home gongs at the recent London awards. 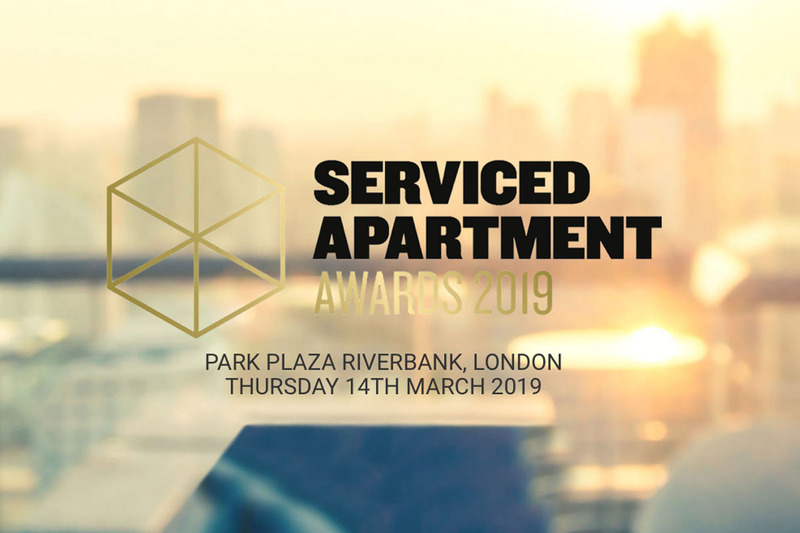 The rapid rise of aparthotels is celebrated at this year’s Serviced Apartments Awards 2019. 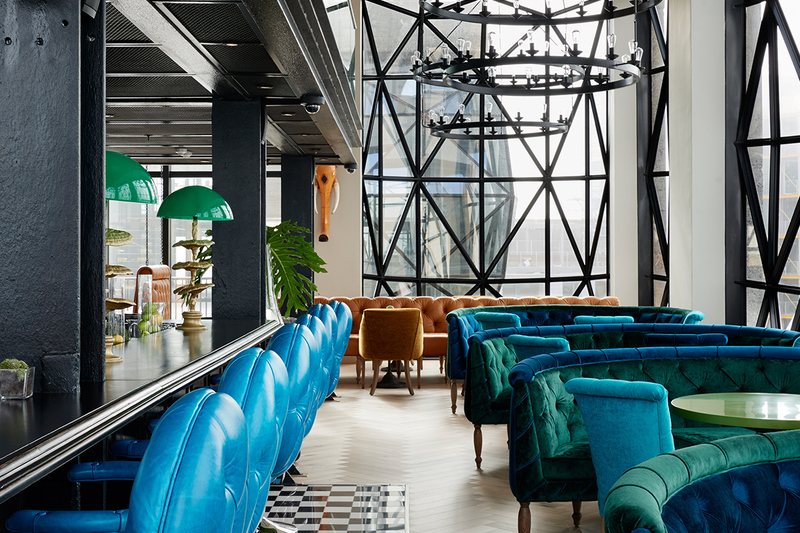 Now in the award’s fourth year, journalists, architects, designers and operators will come together at Park Plaza Riverbank in London on 14 March to acknowledge category leaders such as Best Interior Design and Best Service Provider. The serviced apartments sector is thriving through the convenience, price point, and millennial approach to design it brings to the hospitality market. The awards recognise excellence globally at the individual, team and corporate level. Music Concierge were asked by organisers Serviced Apartment Summit / International Hospitality Media to provide the soundtrack to the event and after-party and we were delighted to oblige. The relationship between music and mood is well-documented. The sound of your surroundings can lift your spirit, focus your mind, steer you to sleep or prime you for action – often without you consciously noticing the change. But can music make you perform better at sport? With the help of Music Concierge, Tottenham Hotspur is currently in the process of finding out. 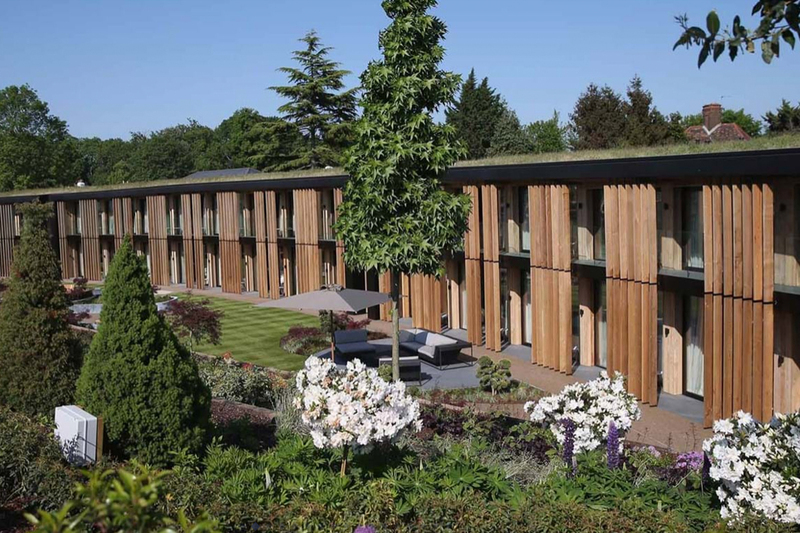 In May 2018, Spurs opened the doors to The Lodge – a state-of-the-art 40-bedroom accommodation offering to accompany the team’s world-class training centre in Enfield. The training centre exists to get the players in peak condition on the pitch. The Lodge is designed to look after them off pitch; not merely offering the first team a place to stay before games, but providing them with a precision-engineered environment totally focused on enhancing their well-being, team spirit and performance. When the first guests – the Brazilian national team on their way to the World Cup in Russia – set foot in the purpose-built crescent building last summer, they were welcomed into a setting where every detail had been considered. The Lodge is designed to be the optimum environment for players to spend time between training sessions, free from the stress, distraction and unpredictability of everyday life. By spending time in surroundings where everything is geared towards their wellbeing, the players are mentally and emotionally primed to perform the second they step onto the pitch. That means all the facilities you might expect – teched-up gym, hydrotherapy spa with hot and cold recovery pools, relaxation lounge, cinema room that doubles as both an exercise studio and a venue for team talks. Biophilia abounds, with plant life and greenery exerting their calming, oxygenating influence both throughout the building and surrounding it. Areas such as the dining room and garden are designed to foster team spirit and camaraderie, with communal tables and a firepit encircled with bean bags. Lighting has been coordinated to shift in temperature depending on the time of day and the activity being performed. And, when Harry Kane and co head to bed, they walk down a 30ft corridor illuminated by a play of star-like lights mapping out the movement of the ball in some of the greatest goals in history. In short, everything has been done to encourage Tottenham’s players to relax, bond, and focus when they’re in residence before a game – and that, of course, includes the sounds that they hear. As the Lodge neared completion, the club approached Music Concierge to complete the aural piece of the jigsaw. Management were determined to ensure that the sounds the players were exposed to as they progressed through the day worked in harmony with The Lodge’s other sensory stimuli to improve player’s wellbeing and gently steer their behaviour from dawn to dusk – a best-practice daily routine set in sound. Drawing on our research into the psychology of music, the Music Concierge team have put together a programme specifically designed to shepherd elite athletes through the training day. From highly motivating morning sounds, to uplifting, positive music that encourage team socialising over lunch. The soundtrack creates a subtle emotional framework that brings rhythm to the day, culminating in soothing, restful compositions that kick in at set times each day to encourage rest and sleep. When it opened at the beginning of 2018, all eyes were on The Murray. Already a Hong Kong landmark, the building first burst onto the skyline in 1969. Almost instantly, it won architectural acclaim for its modern façade and ahead-of-its-time sustainability (care of temperature-reducing recessed windows). The Murray served as a government building for most of its life, and was earmarked for preservation as an important part of the city’s heritage when the residents moved on. So, when new owners Wharf Hotels announced in 2011 that The Murray would be reinvented as the 336-key flagship property in its modern-luxe Niccolo brand, expectations ran high. In Hong Kong’s hyper-competitive hospitality landscape, a hotel has to tick a lot of boxes to make the luxury-travel hot lists. 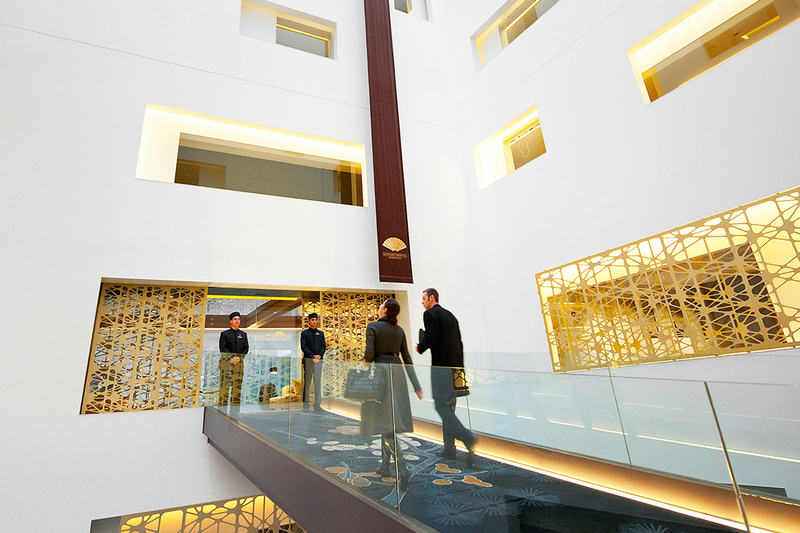 Niccolo’s brand builders knew this, so they went to great lengths to ensure that their headline hotel would deliver the contemporary urban chic that its style-savvy Asian and international audience demanded, and do justice to the iconic status of the building. Foster + Partners were tasked with transforming the interiors. Music Concierge were handed responsibility for the sounds of the space. It was crucial that the audio brand identity we created for The Murray complemented Sir Norman Foster’s ultramodern design vision, and had the functionality to suit specific spaces. The Murray’s lobby, for example, is a vast, largely open, two-storey space encompassing the reception area, the Tai Pan restaurant, The Murray Lane cocktail bar, and The Garden Lounge afternoon tea area – a single playlist had to respond to the mood, pace and design of all of them. 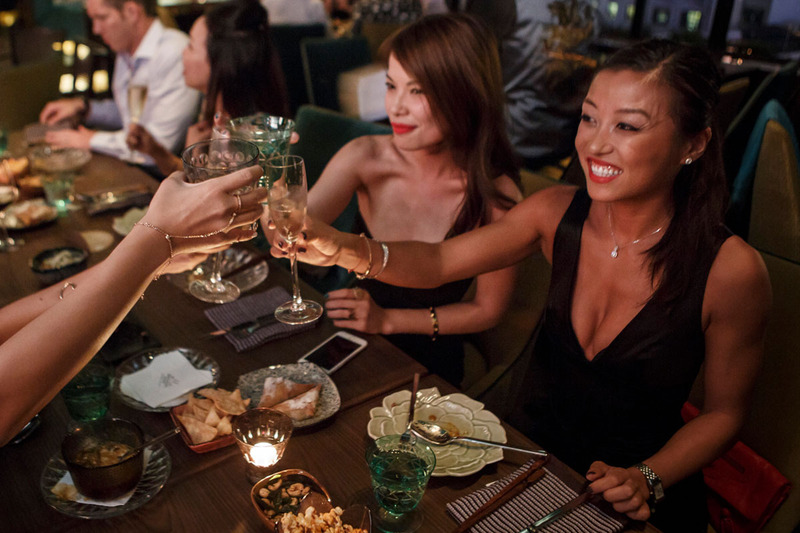 On the rooftop, Popinjays bar and restaurant stakes its claim on the Hong Kong night scene, with some of the best panoramic views in the city, a refined European menu and a see-and-be-seen fashionista clientele. Here, the soundtrack had to reflect the venue’s easy-going sophistication, and energise the evening for a cosmopolitan mix of locals and hotel guests. The music of the Murray may not be the first thing you notice about the hotel, but every note has been engineered to underpin the sensory experience of stepping inside. The sound had to bring the space together, balancing the heritage of the building with the modernity of its Foster-designed fabric. 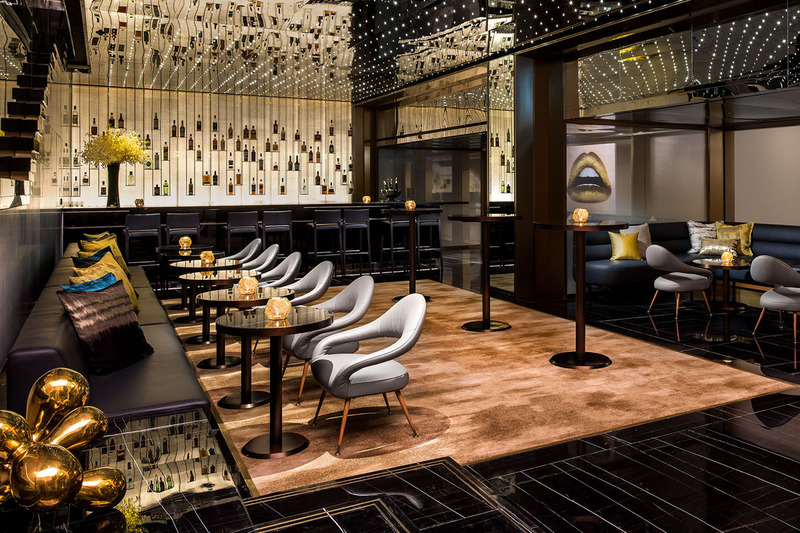 Less than a year after opening, The Murray has bagged itself almost every award going – from the top spot on Condé Nast Traveler readers’ HK hotlist to a feature on TIME’s ‘World’s Greatest Places 2018’. It looks like all those expectations have been more than met. First impressions aren’t made by sight alone. Every one of our senses contributes to the sum total of our experience. If one sense is out of sync, the whole experience can be diminished. For a business like a hotel, which depends upon its customers feeling a certain way and picking up a certain vibe, taking a holistic view of the atmosphere you create and understanding the individual sensory components that create it can have a tremendous impact on your success. One of the most successful and widely beloved luxury brands in the global hotel sector is Mandarin Oriental. 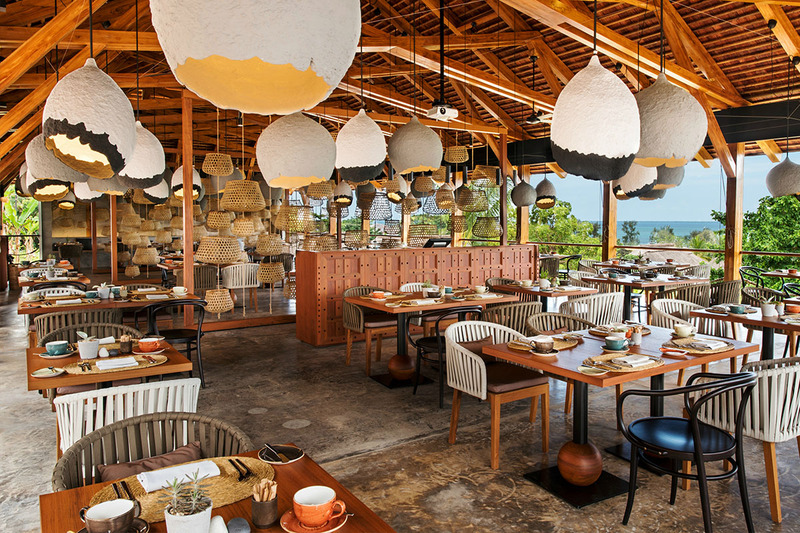 It owes its reputation not simply to the fantastic locations of its properties, perfectly judged service across the board, or its invariably exceptional standards of design, but to the way all these diverse elements cohere to shape the overall guest experience. For every Mandarin Oriental hotel team, that experience is all. 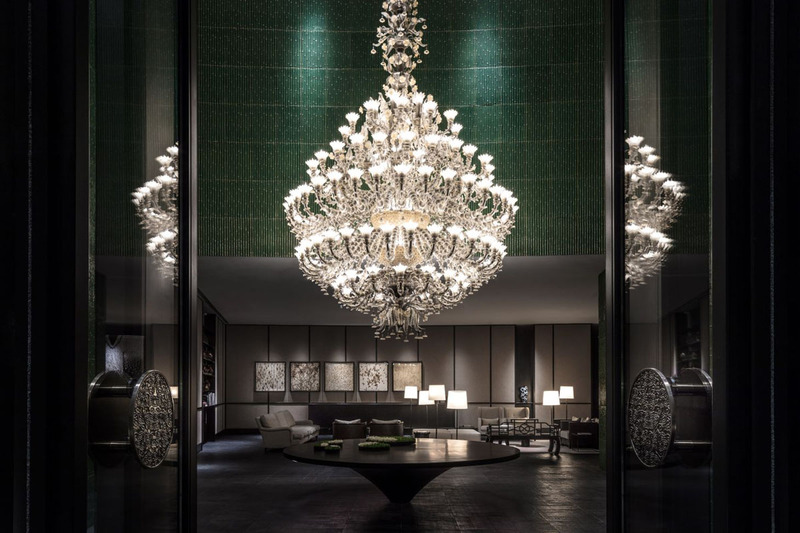 With a hugely covetable location on the fashion-forward, city-central Passeig de Gràcia, Mandarin Oriental Barcelona is a flagship property for the group. Arguably the most luxurious hotel in a city full of fierce competition, it attracts an affluent, well-travelled and culturally attuned international clientele, who are drawn to its peerless service standards and perfect design balance of contemporary chic and period prestige. To stay ahead of the game, the guest experience has to be pitch perfect. Which is why, when the Mandarin Oriental team identified that the hotel’s music had become the weak link in the experience, they were quick to address the issue. The soundtrack from the hotel’s existing provider had become out of step with the design calibre of the hotel and the clientele it sort to cultivate, so we were invited to develop new sounds for each of the Mandarin Oriental’s key areas. These included the dramatic open lobby space extending into all-day dining restaurant Blanc and the Mimosa garden; the two-Michelin-star restaurant Mimosa; the rooftop poolside Peruvian bar Terrat; the spectacular cocktail spot Banker’s Bar; and the spa. Each required a distinct soundscape that complemented the design of the space and the changing pace of the day, striking a balance between the Spanish location and international clientele, matching the fashionable vibe of the hotel’s setting, and expressing the upmarket, new-luxe identity of the Mandarin Oriental brand. To address the needs of complex, multifaceted property such as this requires an in-depth understanding of how the space is lived day-to-day, taking into account the diverse and changing needs of users (for example, the lobby playlist needs to communicate a sense of theatre to guest arrivals, accommodate business guests conducting meetings, and create a buzz for diners lunching in Blanc – all at the same time). By spending time on site, engaging each of the restaurant managers and on-the-ground stakeholders, and experiencing the hotel as a guest would, we were able to develop a family of soundscapes that enriched the drama of the hotel’s design while meeting the needs and enhancing the moods of every type of guest. Music Concierge’s collaborative approach to sound design has helped restore the Mandarin Oriental Barcelona guest experience to what it should be: an elevated, immersive expression of contemporary luxury in which every one of the senses plays a part.